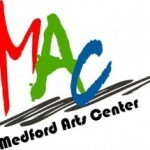 Entries are still being accepted for the Medford Arts Center’s seventh annual Juried Poetry Contest. The contest is open through the end of the business day on Oct. 31. This annual contest was established to give recognition to the literary arts and local poets. Entering poets must be a resident of Burlington County and at least 18 years of age. Any form of poetry or subject is acceptable. All submitted work must be original as well as the work of the poet entering the contest and not previously published. Up to three poems may be submitted by each entrant. There is no fee to enter. The contest guidelines and applications are available at MedfordArtsCenter.org. They can also be picked up in person at the MAC during gallery hours or at the Medford Township office during business hours. No email submissions will be accepted. The completed application can be dropped off at the municipal office or postmarked no later than Oct. 31 to Medford Township, 17 North Main Street, Medford NJ 08055. Please mark the envelope “poetry contest.” All entries must be typed without the author’s name appearing on the hardcopy since this is a blind judging. Daniel J. Walsh, the winner of last year’s contest, will be this year’s judge. Walsh has taught a workshop at Columbia University, where he earned his master’s degree in fine arts, and edited the now-defunct Death Hums Magazine. His poems have appeared in Spork Press and NAP magazine, among others, and have been nominated for the Sundress Press Best of the Net and Pushcart Prize. He still lives in Marlton, where he grew up. Cash prizes will be awarded for the top three poems. A reception will be held on Dec. 9 for all 10 contest finalists who will be invited to share their work. The reception and poetry reading will be open to the public. An open mic session will also be included. For more information about this contest and upcoming events in the literary arts, contact Denise Pizoli at dpizoli@comcast.net or visit us at MedfordArtsCenter.org.